You can now setup teams in the OMS. 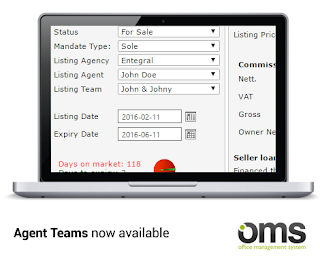 The teams function is optional and can be used to market property listings under multiple agents on selected portals. Property24Private Property We are working to enable teams on Flex websites and other portals (where supported).